Israel is under attack as years of Palestinian incitement have resulted in a wave of terror directed at Israel’s civilians and soldiers. Here is the breakdown of the latest wave of terrorism. The latest wave of Palestinian violence broke out on September 13, on Rosh Hashanah, the Jewish New Year. A total of 45 victims have been killed and some 650 wounded. – 273 stabbings and attempted stabbing. Please note: This is a partial list that does not include most of the daily instances of riots, rock throwing and Molotov cocktails in which no one was hurt. Car-ramming attack –Two police officers and a civilian security guard were wounded when a Palestinian female terrorist drove her vehicle into a police car and a guard post outside Adam community north of Jerusalem. Attempted ramming attack against people waiting at a bus stop ib Binyamin. The terrorist, who was holding a knife, was shot and killed by soldiers who were at the bus stop. Drive-by shooting at soldiers near the Arab village of Aboud. The terrorist was shot and wounded. A truck driven by a terrorist at Jerusalem’s Armon Hanatziv neighborhood ran into a group of IDF soldiers. Four were murdered and over 15 were injured. Soldiers in the group shot and killed the terrorist as he turned around and backed up to run over the victims again. Terrorists fired shots from a vehicle at Beit El and fled towards Ramallah. No injuries. Security forces thwarted a stabbing attack by an Arab woman (35) in Jerusalem’s Old City. Israeli man (50) stabbed and suffered light to moderate injuries in Efrat. The terrorist escaped. Balata camp, Nablus: a soldier was shot and wounded in the leg. Two suspects were arrested. Terrorist speeds with car towards security forces at Qalandia checkpoint and stops. The female driver exits the car and approaches the forces with a knife in her hand, calling “Allahu akbar”. The terrorist was arrested. Palestinian arouses suspicion of Border Police officers at Tapuah Junction when he fails to heed their calls to stop. When he tried to attack them with a knife, he was shot and killed. During a routine check of a minibus at Shuafat, Jerusalem, a Palestinian pulled a knife and tried to stab an officer. In the struggle, the terrorist was killed. Arabs threw stones and a pipe bomb at forces at Rachel’s Tomb. Shots were fired from a passing car at Ofra base; one soldier was lightly wounded. A terrorist tried to stab soldiers stationed at a roadside bus stop to provide security near Ofra, and was shot and killed. Three IDF soldiers wounded in shooting attack at Focus checkpoint, near Beit El, two seriously. The terrorist, a member of PA security forces, was shot dead by soldiers. Ramming attack at Beit Ummar, near Hebron injured three Border Police officers, one moderately and the other two lightly. Other officers shot and killed the terrorist. A Palestinian attempted to run over soldiers near Ofra, exited his car and tried to stab them. The soldiers shot and wounded the terrorist. Two young Palestinians (8 years old) carrying knives were apprehended near Migdal Oz, Gush Etzion, and admitted to having been sent to perpetrate a terrorist attack. A female Palestinian acting suspiciously at Tapuah junction refused to halt when Border Police officers called to her and fired warning shots in the air. When she drew a knife and attempted to stab the officers, she was shot and killed. Jerusalem: Two murdered in a triple shooting attack from a moving car – Yosef Kirma (29), a police officer and a woman, Levana Melihi (60). Another woman was seriously wounded. Twelve others were treated. The terrorist, who had Hamas connections, had been repeatedly arrested for security offenses, and had posted hate speech against Jews and against Israel on his Facebook page. He was shot dead by responding security forces. One of the security forces at Qalandia crossing was moderately to seriously injured during stabbing attack. The terrorist was killed. Palestinian tried to stab a soldier neat Bani Naim and was shot and killed. Two soldiers were injured by petrol bombs thrown by Palestinians in Dahaisha refugee camp near Bethlehem. Terrorist stabbed and wounded two police officers at Herod’s Gate at the entrance to Jerusalem’s Old City. policeman fired at terrorist. The second victim, a policewoman, 38 and a mother of two, remains in critical condition. Terrorist stabbed and wounded an IDF officer in Efrat, south of Jerusalem. Forces fired at terrorist. Both the officer and the assailant were evacuated for medical treatment. Terrorist stabbed soldier in Hebron. Terrorist was shot. Soldier was evacuated for medical treatment. Terrorist stabbed an IDF soldier in Hebron. Terrorist was shot. The soldier was evacuated to a hospital for medical treatment. Two terrorists rammed a vehicle into a civilian bus stop by Kiryat Arba. Three civilians were wounded. Israeli forces responded with shots, killing both terrorists. Terrorists hurled rocks from a vehicle north east of Ariel. One of the terrorists exited the vehicle and stabbed a soldier. The soldier responded with shots, resulting in the terrorist’s death. The soldier was evacuated to a hospital for medical treatment. Terrorist stabbed an IDF soldier near the community of Shaked, west of Jenin. The attacker was apprehended. Soldier received medical treatment at scene. 3:00 P.M. – Attempted stabbing attack on IDF soldiers outside of Shechem (Nablus). Soldiers responded to threat by shooting terrorist. 1:40 P.M. – Palestinian terrorist from village north of Hebron stabbed 2 IDF soldiers southwest of Bethlehem. Soldiers responded to the threat, shot at the terrorist and detained him. The 2 soldiers were wounded, as well as the terrorist. 3:35 P.M. – Palestinian car rammed into military vehicle in Neve Daniel, near Bethlehem. 3 IDF soldiers injured. Terrorist underwent emergency care. 6:10 P.M. – Attempted stabbing attack on IDF soldier outside of Ariel. Soldier responded to threat by shooting and detaining terrorist. 3:00 PM – Terrorists fire at Israeli vehicle traveling on Route 60 in Hebron area. Michael Mark, 48 and father of 10, murdered. His wife is critically wounded. Two of his children are wounded as well. 7:05 P.M. – Terrorist from Tulkarem area stabbed and wounded two civilians in Netanya. Terrorist shot dead. 9:00 A.M. – Terrorist stabbed and killed 13-year-old girl sleeping in her bed in Kiryat Arba. Member of Security Personnel was stabbed during rescue. Terrorist shot and killed. 4:30 P.M. – Terrorist accelerated and rammed her car into a stationary car near Kiryat Arba, wounding 2 civilians. Forces responded and shot terrorist. Psagot, Benjamin region (Samaria): Over 20 petrol bombs were thrown at the community; no injuries. Jerusalem: Four petrol bombs were thrown at a house on Meir Nakar Street from the direction of Jabel Mukaber. Slight damage to the house. Four Palestinians from Hebron, in Israel illegally, were arrested for questioning. 5:40 P.M. – Terrorist attempted to stab IDF soldiers at a security post near Shechem (Nablus). Terrorist was shot. 9:30 P.M. – 2 Palestinian terrorists murdered 4 people at popular mall in central Tel Aviv. Terrorists were apprehended. 12:00 A.M. – Terrorist opened fire at moving vehicles outside of Ramallah. No one was injured. 11:00 P.M. – Terrorists fire shots at civilian bus south of Shechem (Nablus). No one was injured . 12:00 AM – Terrorist attempts to stab IDF soldiers on Patrol. Terrorist shot dead. 7:30 P.M – Terrorist attacked IDF soldier with screwdriver in Tel Aviv. Terrorist was apprehended. 11:15 P.M. – Terrorist opened fire at a civilian bus 30 minutes south of Jerusalem. No injuries reported. 10:00 A.M – 20-year-old Palestinian terrorist with knife stabbed Israeli man in center of Jerusalem. Terrorist apprehended. 9:50 P.M. – A roadside IED exploded and seriously injured an IDF officer. He was evacuated for emergency treatment. Palestinian terrorists were later arrested. 8:15 AM – Two Palestinian terrorists stab and moderately wound two elderly Israeli women at Jerusalem’s Armon Hanatziv promenade. 7:20 P.M. – Near Dolev, northwest of Jerusalem: Three IDF soldiers were injured, one critically, in a ramming attack in the Benyamin region. The terrorist was shot and killed by IDF forces at the site. 10:50 P.M. – Old City, Jerusalem: A man (60) was stabbed and is in moderate condition. The terrorist fled and was later apprehended. 17:45 – Bus explodes in Jerusalem, injuring of 21 people, including passengers on a passing bus and in a nearby car. Two of the injured are in serious condition, 7 were moderately injured and 12 were lightly injured. 3:15 P.M. – Terrorist armed with ax attacked IDF soldier guarding south of Bethlehem. In response to immediate threat, forces shot terrorist. 1:40 P.M. – Palestinian woman stabbed Israeli woman in Rosh HaAyin, 17 miles outside of Tel Aviv. Terrorist was apprehended. 8:30 A.M. – Two terrorists stab soldier at military post in Hebron. Forces shoot terrorists. 9:30 A.M. – 17-year-old Palestinian stabbed security personnel near the Cave of the Patriarchs in Hebron. Terrorist shot. 11:00 Am – 2 terrorists stab IDF soldier. Both shot dead. Victim evacuated to the hospital for medical treatment. 7:20 A.M. – Additional attack at entrance to Kiryat Arba, east of Hebron. Vehicle rammed into IDF vehicle, wounding two IDF soldiers and an officer.They were evacuated to the hospital for medical treatment. Knives were found on the attacker. Terrorist was shot. 7:05 A.M. – Two assailants fired at pedestrians at bus stop at entrance to Kiryat Arba, east of Hebron. Forces responded to threat and shot assailants. IDF soldier wounded and evacuated to hospital for medical treatment. 10:20 P.M. – 2 IDF soldiers injured in shooting attack near Ramallah. 8:00 A.M. – 2 terrorists opened fire towards public bus in Jerusalem, injuring one critically. Same terrorists went on to carry out shooting attack at Damascus Gate. 7:45 A.M. – Terrorist rammed vehicle into a soldier guarding the Gush Etzion Junc. Soldier wounded. Forces responded to the threat and shot terrorist. Jordan Valley: Police officer stabbed and lightly injured while directing traffic on Route 90 following a tree collapse. The terrorist, a 14-year-old girl from a nearby village, was taken into custody. 7 A.M. – Israeli man attacked by two terrorists with clubs and a knife outside his home in the Eli community, north of Jerusalem. Terrorists were shot to prevent further civilian injuries. 1:15 A.M. – Terrorist attacked mall security guard with ax in Ma’ale Adumim, near Jerusalem. Security guard was seriously injured. Terrorist was arrested. 12:00 pm – IDF officer killed during Palestinian stabbing attack. Hit by friendly fire. Terrorist shot and moderately wounded. 4:45 pm – Two 14-year-old Palestinian terrorists stab two Israelis in a supermarket in Sha’ar Binyamin. One victim died of his wounds. The other victim is moderately wounded. Both terrorists are shot and wounded. 11 pm – Two terrorists opened fire at security forces near Damascus Gate in Jerusalem. Forces responded to threat and shot terrorists. 5:45 pm – Palestinian woman attempted to stab security forces in Hebron. Terrorist shot. 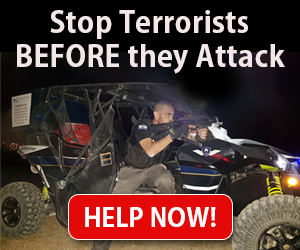 11:00 pm – Two terrorists hurled rocks at passing vehicles west of Jenin. When forces arrived at the scene, they were fired at by terrorist. Forces responded to the threat and fired towards the terrorists. 6:50 pm – Car ramming attack outside of Jerusalem. Two Border Police officers injured. Neve Daniel (Gush Etzion): A man was stabbed and moderately wounded. The terrorist fled to nearby Nahalin village. Several suspects were arrested. 9:20 am – Terrorist stabbed IDF soldier at Central Bus Station in Ashkelon, wounding him lightly. Terrorist shot dead. 5:20 pm – Terrorist stabbed sixty-year-old woman in southern city of Rahat. 11:20 am – 2 teenage girls stabbed security guard at Ramla bus station in central Israel.Terrorists apprehended. 3:00 pm – 3 terrorists armed with guns, knives, and explosives attacked 2 Border Policewomen in Jerusalem. Border Policewoman, Corporal Hadar Cohen, was killed in the attack.Terrorists shot. 7:45 am – Forces identified suspect infiltrating security fence near community of Sal’it, east of Kfar Saba. When forces arrived, terrorist drew knife and attempted to stab soldiers. Terrorist shot. 3:15 pm – Suspect attempted to ram vehicle into IDF soldiers manning checkpoint on Route 443. Force responded to danger and shot terrorist. 11:15 am – Gunman opened fire near Beit El, wounding three IDF soldiers. Forces responded to attack and shot terrorist. 6:00 pm – Two terrorists stabbed Jewish man at Damascus Gate in Jerusalem. 11:20 pm – Terrorist stabbed Israeli man in Givat Ze’ev, outside of Jerusalem. Victim critically wounded. Terrorist apprehended. 4:20 pm – Forces prevent stabbing attack at Kalandia Crossing. Terrorist arrested and in custody. 5:30 pm – Two terrorists stabbed two women outside a supermarket in the community of Beit Horon. 23-year-old, Shlomit Krigman, was murdered in the attack. Two explosive devices were found near area of the attack. Terrorists shot. 9:30 pm – A gunman opened fire at a vehicle driving near the community of Dolev. 2:00 am – Gunman shot at Israeli forces during a patrol in Tulkarem, wounding IDF soldier. 10:30 am – 30-year-old pregnant woman stabbed in Tekoa, near Jerusalem. 5:40 pm – Palestinian terrorist broke into home in community of Otniel and stabbed Dafna Meir (38) to death. Forces apprehended the terrorist. 2:00 pm – Palestinian terrorist attempted to stab IDF soldiers on patrol near Nablus. Forces responded and fired towards terrorist. 1:30 pm – Terrorist attacked military vehicle near Nablus and proceeded to stab and wound IDF officer. Forced fired towards terrorist. 2:00 pm – Palestinian terrorist armed with knife attempted to stab soldier near Hebron. Forces responded to threat and fired towards terrorist. 11:00 am – Palestinian armed with knife attempted stab soldier southwest of Jenin. Forces shot and thwarted terrorist. 7:00 am – Two terrorists attempted to stab IDF soldiers at security crossing near Beka’ot. Forces shot terrorists and stopped the attack. 10:30 pm – Palestinian armed with knife attempted to stab IDF soldiers at checkpoint near Hebron. Forces thwarted attack and shot terrorist. 8:30 pm – Three terrorists armed with knives attempted to stab IDF soldiers guarding at Gush Etzion Junction. Forces thwarted attack and shot terrorists. 8:50 am – Terrorist stabbed IDF soldier at Gush Etzion Junction. Forces responded and shot attacker. Jerusalem: Attempted stabbing attack near the National Police Headquarters – a passerby was very lightly wounded. Forces shot the terrorist in the leg; when he continued to flee, they shot him again. He was brought to hospital in moderate condition. 6:20 pm – IDF soldier wounded from gunfire during security check south of Hebron. 2:20 pm – Terrorist opened fire at Cave of the Patriarchs in Hebron, wounding IDF soldier. Jerusalem – on the road to Gush Etzion: Palestinian terrorist shooting at passing cars; Arab Israeli lightly wounded. Tel Aviv: In a shooting attack at a pub, two killed – Alon Bakal (26), the pub’s manager, and Shimon Ruime (30) – and 8 injured, two seriously. The terrorist (29, from Arara village in northern Israel) is still at large. The terrorist later killed an Arab taxi driver. 12:15 pm – Palestinian attacker rammed vehicle into forces near Huwara, wounding IDF soldier. Forces responded to threat and shot terrorist. 2:00 P.M. – Two Palestinians stabbed and wounded soldier in Huwara, near Nablus. Terrorists shot. 7:30 A.M. – Palestinian terrorist stabbed IDF soldier near Jerusalem’s central bus station. Soldier lightly injured. Terrorist arrested. 4:20 P.M. – Palestinian rammed car into IDF forces south of Nablus, wounding a soldier. Forces responded and shot the terrorist. 4:55 P.M. – Attempted car ramming attack in Silwad. Terrorist shot. 10:30 A.M. – A Palestinian armed with screwdriver approached checkpoint near Hebron and attempted to stab forces. Forces responded and shot terrorist. 9:20 A.M. – A Palestinian armed with a knife stabbed two people in Ariel. The two victims were security personnel. They respond and shot terrorist. 1:15 P.M. – Two Palestinian terrorists stabbed three Israelis in the Old City of Jerusalem. Two victims died; the third seriously injured. The terrorists were shot dead. 10:00 P.M. – A Palestinian terrorist shot at IDF forces, damaging a military post near Hebron. 1:00 P.M. – Terrorist attempted to stab soldiers in Hebron. Terrorist arrested and evacuated for medical treatment. 4:20 P.M. – Palestinian stabbed 3 Israelis in Ra’anana. Terrorist arrested. 3:20 P.M. – Palestinian terrorist attempted to ram vehicle into security forces at Kalandia Crossing. Terrorist shot. 11:30 A.M. – Palestinian with knife attempted to stab forces after being approached for questioning. Terrorist shot. 7:00 P.M. – Israeli woman wounded after Palestinian terrorist hurls rocks at her vehicle near Beit Arye. 3:30 P.M. – Driver rams vehicle at pedestrians at entrance to Jerusalem, injuring 11. An ax was found in car. Terrorist shot. 3:50 P.M. – Palestinian woman attempted to stab a civilian in Hebron. IDF forces shot and apprehended the terrorist. 1:00 P.M. – Terrorist attempted to ram vehicle into security forces near Hebron. Forces responded to the threat and shot the terrorist. 11:45 A.M. – Gunman shot at security personnel at Gilboa Crossing. Guards responded and shot the terrorist. 4:15 P.M. – A Hamas terrorist rammed his vehicle into 4 soldiers. Forces uncovered a rifle and a stun grenade inside the vehicle. Terrorist was arrested. 8:00 P.M. – Palestinian terrorists fire shots from their vehicle near Tulkarm in northern Samaria injuring 2 Israelis. 1:05 P.M. – Terrorist stabbed soldier and civilian near Hebron. Terrorist was shot. 3:45 P.M. – Terrorist stabbed Israeli next to Cave of the Patriarchs in Hebron. Terrorist was shot. 8:00 P.M. – 21-year-old terrorist rammed his vehicle into 2 pedestrians and proceeded to leave car and stab a police officer in Jerusalem. Terrorist shot. 2:30 P.M. – 2 soldiers injured in car ramming near the community of Ofra in Samaria. Terrorist shot. 1:30 P.M. – Stabbing in the Binyamin region of Samaria. Terrorist shot. 1:00 A.M. – Two terrorists stabbed and wounded soldier in Hebron. Terrorists shot. 8:00 P.M. – Shooting near Palestinian village of Hizma, north of Jerusalem. Terrorist fled. 5:30 P.M. – Stabbing in Old City of Jerusalem. Terrorist shot. 10:30 A.M. – Shooting near Palestinian village of Hizma, north of Jerusalem. Terrorist shot. 10:30 A.M. – Attempted stabbing attack near Nablus. Terrorist shot. 8:30 A.M. – Palestinian armed with knife attempted to stab Israeli outside Jerusalem. Terrorist shot and killed. 8:30 A.M. – Border Policeman injured in stabbing attack near Old City of Jerusalem. Terrorist shot and killed. 1:00 P.M. – 6 soldiers injured in car ramming attack near Hebron. Terrorist shot. 7:30 A.M. – 2 soldiers injured in car ramming attack at bus station near Jerusalem. Terrorist shot before causing further damage. 11:00 A.M. – Attempted stabbing attack of Border Policemen at Tapuah Junction. Terrorist shot. 1:15 P.M. – IDF soldier severely wounded in stabbing attack near Hebron. Terrorist shot and arrested. 8:30 A.M. – 4 Israeli security personell injured in car ramming at Tapuah Junction. Terrorist shot and apprehended. 3:15 P.M. – IDF soldier killed and IDF officer injured in stabbing attack at gas station on Route 443 near Modiin. 3:10 P.M. – Attempted stabbing attack near Nablus. Terrorist shot on site. 11:10 A.M. – 70-year-old man and 27-year-old man injured in stabbing attack in Central Jerusalem. 2 terrorists shot on site. 3:20 P.M. – Israeli civilian murdered in stabbing attack at Gush Etzion Junction. Terrorist shot on site. 10:45 A.M. – Attempted stabbing and car ramming attack near Jerusalem. Terrorist shot on site. 9:30 A.M. – Attempted stabbing attack of Israeli near Ariel. Terrorist shot on site. 7:30 P.M. – Shots fired at IDF patrol near Ramallah. 1 assailant shot on site, 2 others apprehended. 2 Israeli civilians murdered & 1 injured in shooting attack near Hebron. 3:20 P.M. – Attempted stabbing attack of Border Policeman near Jerusalem. Terrorist shot on site. 12:40 P.M. – Attempted stabbing attack in Old City of Jerusalem. Terrorist shot on site. 12:20 P.M. – Israeli injured in stabbing attack on Jerusalem Light Rail. Two terrorists apprehended. 1:50 PM – Israeli injured in stabbing attack near Alfei Menashe. 11:15 AM – Israeli injured in stabbing attack at entrance to Betar Illit near Jerusalem. Terrorist shot on site. 10:00 AM – 3 Israelis injured in car ramming at Tapuah Junction. Terrorist shot on site. 6:10 PM – Israeli soldier severely injured in shooting attack near Hebron. Terrorist apprehended. 4:40 PM – 2 Israelis injured in shooting attack while visiting Tomb of the Patriarchs in Hebron. 1:40 PM – Israeli injured in stabbing attack outside of supermarket in Sha’ar Binyamin. 5:05 PM – Attempted stabbing attack in Gush Etzion. Terrorist shot on site. 4:30 PM – Israeli civilian injured in car ramming attack near Hebron. 5:30 PM – Israeli civilian injured in stabbing attack in Netanya. Terrorist shot on site. 3:30 PM – 3 Israelis injured in stabbing attack near Rishon LeZion Central Bus Station. Terrorist apprehended. 9:15 AM – Attempted stabbing attack of IDF soldiers near Afula. One terrorist was shot at scene and in treatment. Second suspect was apprehended. 4:20 PM – 3 Israelis injured in car ramming attack in Hebron. 1:30 PM – Attempted stabbing attack of IDF soldier during a violent riot in Hebron. Terrorist shot on site. 9:05 AM – Attempted stabbing attack of Israeli forces at Gilboa Crossing near Afula. Terrorist shot on site. 1:30 PM – 2 Israeli civilians injured in stabbing attack in Jerusalem. Terrorist shot on site. 12:15 PM – Attempted stabbing attack of Border Policemen at Tapuah Junction. Attackers shot on site. 8:50 PM – Shooting as passing vehicle opened fire towards a bus stop near Jerusalem. Forces fired towards vehicle. 12:00 PM – Attempted stabbing attack of IDF soldier in Hebron. Terrorist shot on site. 8:00 AM – IDF soldier injured in stabbing attack near the Tomb of the Patriarchs in Hebron. Terrorist shot on site. 4:20 PM – Israeli civilian injured in stabbing attack outside supermarket in Gush Etzion. Terrorist detained on site. 3:35 PM – Attempted stabbing attack of IDF soldier in Hebron. Terrorist shot on site. 7:00 PM – IDF soldier injured in stabbing at Gush Etzion Junction. Terrorist shot on site. 2:50 PM – Attempted stabbing attack in Hebron. Terrorist shot on site. 9:40 AM – Israeli stabbed near Hebron. Terrorist shot on site. 5:30 PM – Israeli civilian injured in stabbing attack at Ariel Junction. Terrorist apprehended. 10:15 AM – Israeli civilian injured in stabbing attack after exiting his car following rock attack. 11:30 AM – Attempted stabbing attack at Gilboa crossing, south of Afula. Terrorist shot on site. 5:30 PM – Mother and her 2 children injured from Molotov cocktail hurled at vehicle near Jerusalem. 7:15 AM – IDF soldier injured in stabbing attack near Gush Etzion. Terrorist shot on site. 8:00 AM – Israeli civilian injured in stabbing attack in Beit Shemesh. Terrorist shot on site. 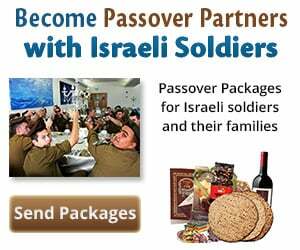 9:00 PM – Five IDF soldiers injured in car ramming attack near Bethlehem. Terrorist shot on site. 3:30 PM – IDF soldier injured in stabbing attack near Jerusalem. Terrorist shot on site. 6:20 AM – Attempted stabbing attack in Israeli community near Nablus. Terrorist shot on site. 9:50 PM – IDF soldier injured in stabbing attack in Hebron. Two assailants shot on site. 4:30 PM – IDF soldier and Israeli civilian injured in car ramming attack at Gush Etzion Junction. Terrorist then attempted to stab the wounded but was shot on site. 11:15 AM – IDF officer injured in stabbing attack during violent riot near Hebron. Terrorist shot on site. 7:42 PM – IDF soldier Sgt. Omri Levy z”l was killed, four other soldiers and seven Israeli civilians injured in combined shooting and stabbing attack in Be’er Sheva Central Bus Station. Terrorist shot on site. 8:50 PM – Israeli Border Policeman stabbed at Kalandia Crossing. Terrorist shot on site. 7:42 PM – IDF soldier injured in stabbing attack in Hebron. Terrorist shot on site. 12:21 PM – Israeli Border Policewoman injured in stabbing attack at Cave of Patriarchs in Hebron. Terrorist shot on site. 9:30 AM – Attempted stabbing attack of Border Policeman in Jerusalem. Terrorist shot on site. 8:50 AM – Attempted stabbing attack of Israeli civilian in Hebron. Civilian fired towards terrorist in response. 2:00 PM – IDF soldier injured in stabbing attack by assailant disguised as news photographer in Kiryat Arba. Terrorist shot on site. 1:08 AM – Joseph’s Tomb set on fire by Palestinian arsonists. Palestinian forces extinguished fire. 7:15 PM – Israeli woman in her 70’s injured in stabbing attack near Jerusalem Central Bus Station. Terrorist shot on site. 5:20 PM – Attempted stabbing attack of security guard in Jerusalem. Terrorist shot on site. 10:45 AM – Four Israeli civilians injured in stabbing attack at a bus stop in Ra’anana. Terrorist apprehended on site. 10:15 AM – Israeli civilian killed and two injured in a combined car ramming and stabbing attack in Jerusalem at a bus stop. Terrorist shot on site. 10:00 AM – Two Israeli civilians killed and seven injured on a Jerusalem bus from combined shooting and stabbing attack. A third victim died from his injuries after two weeks on October 27. The terrorists were shot on site. 9:00 AM – Israeli civilian injured in stabbing attack in Ra’anana. Terrorist apprehended on site. 9:00 PM – Terrorist stabs Israeli civilian and IDF soldier in attempt to steal his gun on a bus at entrance to Jerusalem. Terrorist shot on site. 3:30 PM – Two Israeli civilians, including a 13-year-old, were injured in stabbing attack by two Palestinians in Jerusalem. The terrorists were 13 and 17-years-old. One shot on site and the other apprehended. 2:19 PM – Attempted stabbing attack near the Israel Police Headquarters in Jerusalem. Terrorist apprehended. 9:00 A.M. – Attempted stabbing attack of Israeli Border Policeman in Jerusalem. Terrorist shot on site. 7:06 PM – Three Israeli civilians and an IDF soldier injured in stabbing attack in Gan Shmuel, near Hadera. The terrorist rammed his car into a soldier before getting out and going on a stabbing spree. Terrorist shot on site. 7:30 AM – Police officer injured by detonation of gas canister by female Palestinian driver near Ma’ale Adumim. Terrorist apprehended on site. 3:45 PM – Three Israeli police officers injured in stabbing attack in Jerusalem. 10:30 AM – Two Israeli civilians injured in stabbing attack in Jerusalem. 1:14 AM – Israeli civilian lightly injured from rock attack on Route 60 to Jerusalem. IDF soldier injured by gunshot in Kiryat Arba. 1:30 PM – Attempted stabbing attack of IDF soldier in Afula. Terrorist shot on site. 12:33 PM – Israeli police officer injured in stabbing attack in Kiryat Arba. Terrorist shot on site. 12:30 PM – Israeli civilian injured in stabbing attack in Jerusalem. Terrorist shot on site. 10:00 AM – Four Israeli civilians injured in stabbing attack in Dimona. Terrorist apprehended on site. 7:15 PM – Israeli civilian injured in stabbing attack in Afula. Terrorist shot on site. 3:50 PM – Israeli civilian injured in stabbing attack in Kiryat Arba. Terrorist shot on site. 3:00 PM – Four Israeli civilians and an IDF soldier injured in stabbing attack with screwdriver in central Tel Aviv. Terrorist shot on site by an officer in Israel Air Force. 12:20 PM – Israeli civilian injured in stabbing attack in Jerusalem. 9:00 PM – Attempted car ramming attack of Border Policeman in Jerusalem. Terrorist apprehended on site. 6:40 PM – Israeli civilian injured in stabbing attack outside mall in Petah Tikva. Terrorist was shot on site. 2:00 PM – IDF soldier injured in stabbing attack in Kiryat Gat in which assailant stole the soldier’s weapon, and was shot on site in civilian’s apartment. 10:00 AM – Israeli civilian injured in stabbing attack in Old City of Jerusalem. Terrorist was shot on site. Israeli teenager injured in stabbing attack in Jerusalem. Terrorist shot on site. 8:30 PM – 4 Israelis targeted in stabbing attack in the Old City of Jerusalem. Two Israeli men killed. Wife and child of one of the men were injured. 9:30 PM – Eitam and Naama Henkin killed in front of their four children in shooting attack near Nablus. Terrorists apprehended. 8:30 AM – Attempted stabbing attack of IDF soldier in Hebron. Terrorist apprehended on site. IDF soldier injured by firebomb near Joseph’s Tomb in Nablus. 10:00 PM – Israeli civilian injured by rock throwing in Jerusalem.